The social media banter is off the scale already, now that the first female Doctor’s costume has been revealed. Twitter banter merchants have gone into overdrive following the unveiling of Jodie Whittaker’s outfit for her role as the new Doctor Who. Earlier today (Thursday 9 November), the BBC posted an image of the actor, who will play the first female incarnation of the time traveller when the current incumbent regenerates at Christmas. But the braces and trousers, rainbow-jumper motif has already called to mind some other legendary TV heroes from yesteryear. Or how about the late and legendary Robin Williams as Mork from the 1970s Happy Days spin-off Mork And Mindy? And as expected, absolutely terrible. What the friggin' hell is. she. wearing. Not sure what to make of it. Looks a bit too casual for my liking. Perhaps on purpose to encourage cosplayers to seek out more easily obtainable clothing to emulate the Thirteenth Doctor's new style. While old-timey-wimey Doctor Who fans pointed out that the character hasn’t always been the most dapper of dressers. "What is she wearing! She looks stupid!" However, some people didn’t even notice the new Doctor. 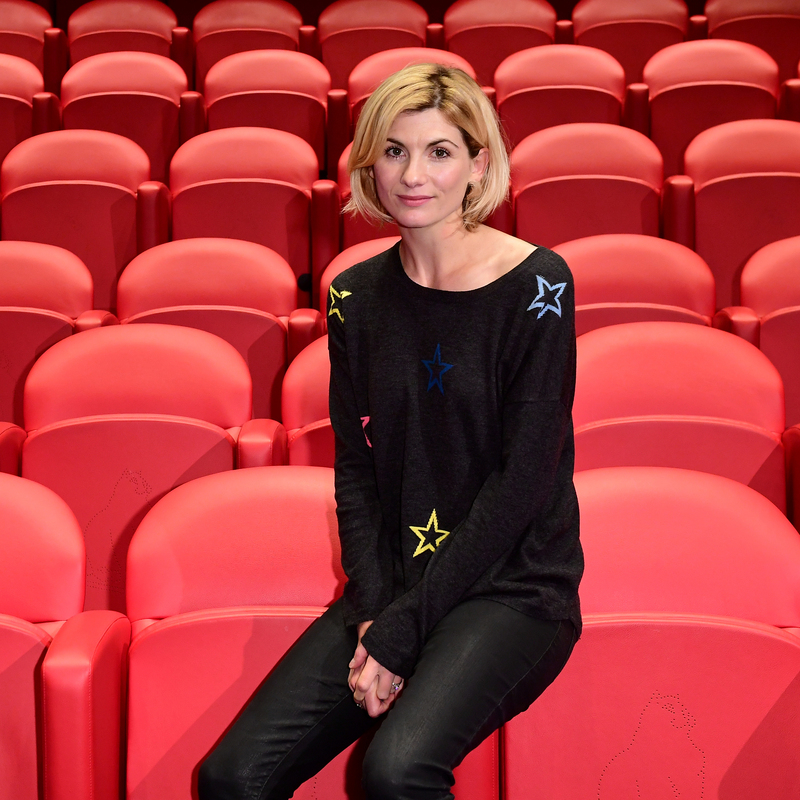 The 35-year-old from West Yorkshire was given the role in July, making her the first female actor to play Doctor Who since the programme launched back in 1963. Her first appearance as the Thirteenth Doctor is expected in this year's Christmas special, Twice Upon A Time, which sees Peter Capaldi retire from the role after four years. Whittaker will have three companions in the new series, including actor and game show host Bradley Walsh, plus Tosin Cole and Mandip Gill.